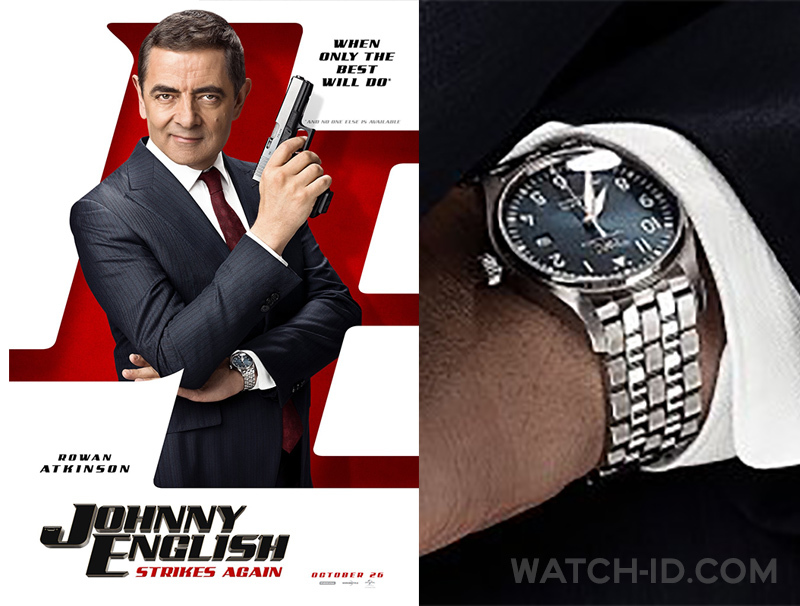 Rowan Atkinson wears a IWC IW327016 Pilot's Watch Mark XVIII Edition "Le Petit Prince" on the poster of Johnny English Strikes Again. IWC IW327016 Pilot's Watch Mark XVIII Edition "Le Petit Prince"
Rowan Atkinson wears a IWC IW327016 Pilot's watch Mark XVIII Edition "Le Petit Prince" on the poster of the movie Johnny English Strikes Again (2018). He will probably sport the watch in the film, but this is not confirmed. The Pilot’s Watch Mark XVIII Edition “Le Petit Prince” is a special-edition timepiece dedicated to Antoine de Saint-Exupéry’s Little Prince. The watch comes has a stainless-steel bracelet and is water-resistant to 6 bar, and is powered by an automatic 35111-calibre movement. 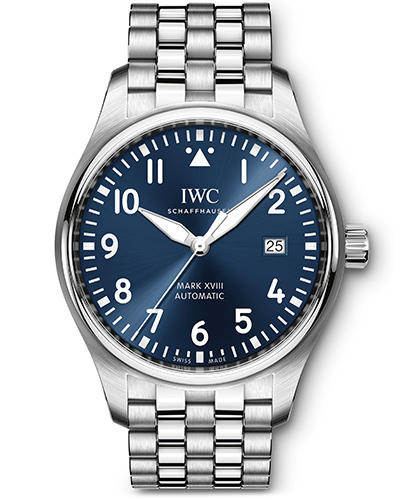 The IWC case has a diameter of 40.0 mm, a blue dial with white Arabic numerals, a date window at the 3 o'clock position. Johnny English Strikes Again is the third instalment of the Johnny English series, after Johnny English (2003) and Johnny English Reborn (2011). Atkisnon stars again as Johnny English and former James Bond girl Olga Kurylenko stars as Ophelia. Rowan Atkinson has been spotted wearing IWC watches before, for example during the Johnny English Reborn premiere in London in 2013.